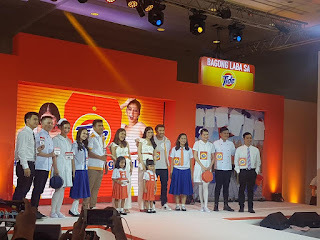 Last July 31, 2018, I was excited to attend the Tide hosted “Bagong Bili o Bagong Laba” Fashion Walk-off, Where they solve this great mystery once and for all. Since for the past few days, the social media & consumers were confused with Alex Gonzaga and Melai Cantiveros, it’s bumping into each other, wearing exactly the same outfit and wondering who actually wore it better. 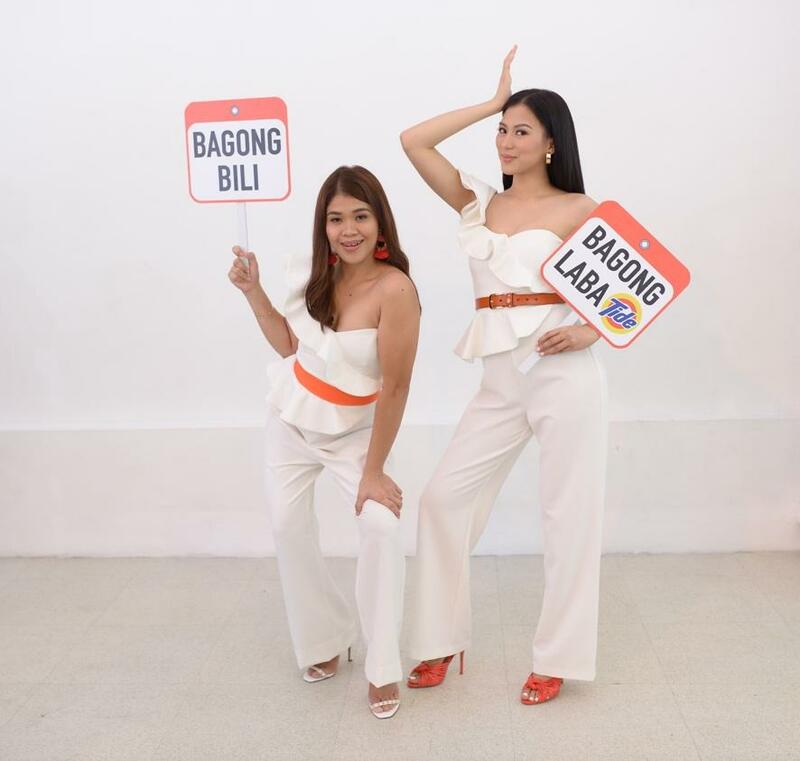 But since these two ladies are not going to settle the score just like that, they both asked the bigger, more interesting question—are the outfits bagong bili or bagong laba? This was going viral on social media as fellow momshies weighed in and confused the minds of everyone. Also argued whether their idol’s outfits was bagong bili or bagong laba. But even as the arguments rocked social media, no one could figure out the answer as both the outfits of Alex Gonzaga and Melai Cantiveros looked like new. 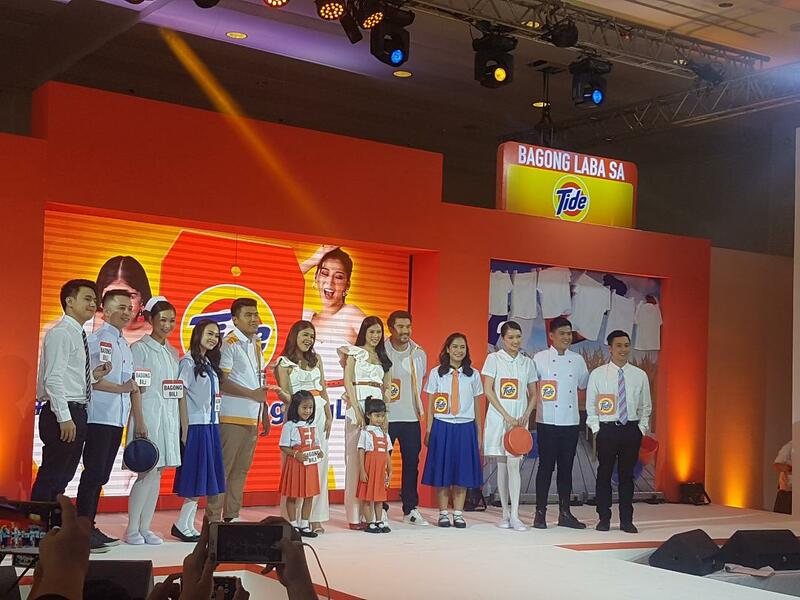 It was solved thru an interactive fashion and excited guests including me took part in a game that proved how brand new whites look no different from clothes washed with Tide. The fashion show were led by Luis Manzano and the Solomon brothers, and celebrity kids, and Mela Francisco. After all the models strutted to confuse the crowd even more. Alex and Melai graced the stage with a grand walk off and cheered on the audience to make their best guess -- “Bagong Bili or Bagong Laba?”. Because of the guest participation, the show become more livelier until the ending where a grand reveal of the models removing their tags to see who wore the bagong laba and the bagong bili outfits – astounding everyone in the audience because there was no difference in the whiteness of the clothes that the models wore! “Sobrang nagulat ako sa fact na ako pala may suot ng bagong laba! As in wow, nakakagulat talaga kasi for me, feeling ko bagong bili suot ko! 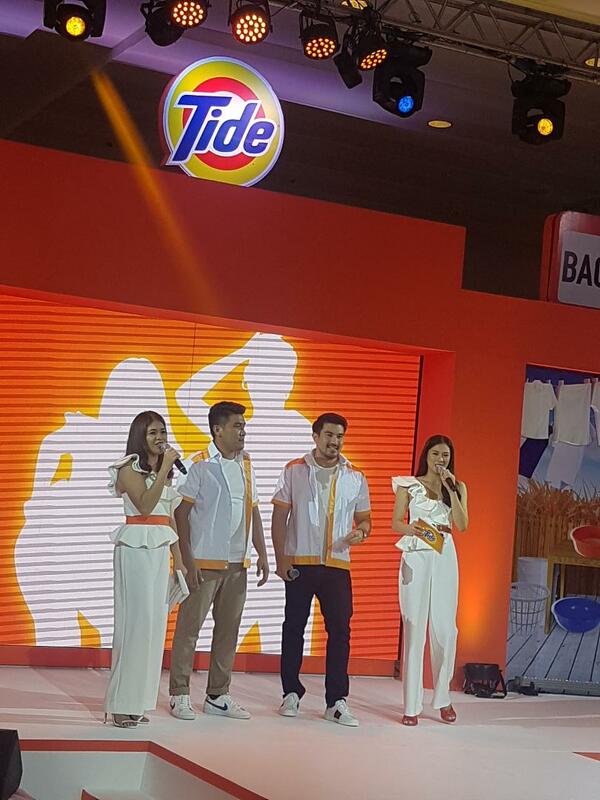 Totoo talaga na sa isang laba, mukhang bago, kapag Tide,” said Alex, whose bagong laba clothes definitely look brand new. While Melai, who turns out to have been wearing the brand new outfit, added that “Amazing ang whitening powers ng Tide. From now on, hindi na talaga kailangan bumili parati ng bagong damit para mag mukhang bongga ang outfits mo. 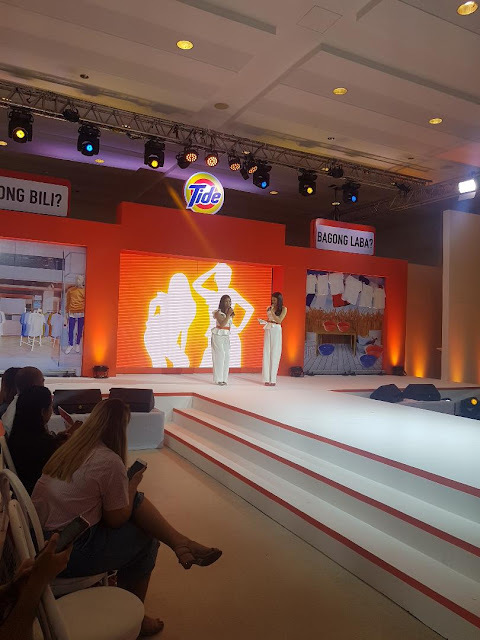 With Tide, para ka na ring nakasuot ng bago.” Just like me, everyone in the audience, it’s hard to tell the difference between bagong bili and bagong laba with Tide.